We’re in the swing of Christmas season, folks, which means that it’s time again for one of New York City’s great modern holiday traditions, Irish Arts Center’s “Winter Solstice Celebration” at Symphony Space. On Friday, December 14, singer, banjoist, and scholar Mick Moloney, fiddler Athena Tergis, and Green Fields of America (including Brendan Dolan, Liz Hanley, Billy McComiskey, Niall O’Leary, and John Roberts) will perform in collaboration with Radio Jarocho (www.radiojarocho.com), a son jarocho group that specializes in the traditional music and dance of Veracruz, Mexico. From a very heavily Catholic part of Central America, Radio Jarocho approach draws from indigenous, Spanish and African influences. They been profiled in the Wall Street Journal and on NPR and will be an incredible partner for Moloney & co. as they celebrate the midwinter solstice together. Not to be missed! Book your tickets now at irishartscenter.org. 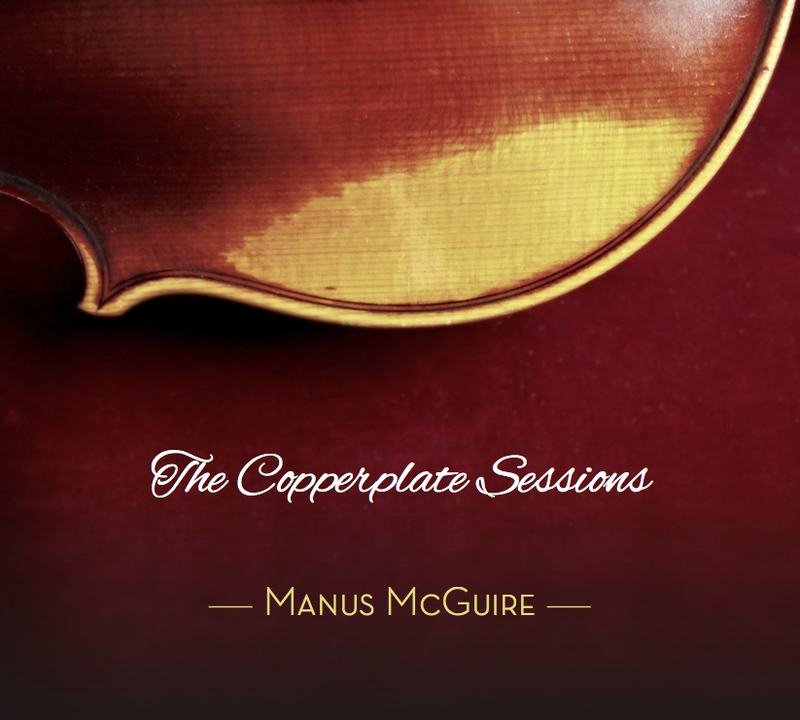 Speaking of not to be missed, I’ve been listening to fiddle player Manus McGuire’s new album “The Copperplate Sessions” and it is simply outstanding. From top to bottom, it features incredible musicianship, smart arrangements and it moves along from track to track with a perfect balance of tasteful virtuosity and smart restraint. If you’re looking for an album stocking stuffer for a friend, coworker, or even yourself, look no further than “The Copperplate Sessions” – you won’t be disappointed. 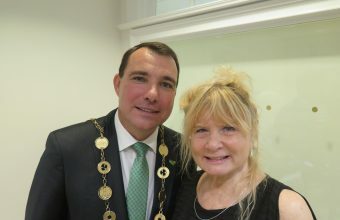 A musician many readers are likely familiar with, McGuire was born in Sligo but is now a resident of East Clare, and he is steeped in the Sligo fiddle tradition of Coleman, Morrison, Killoran, and others. Like his older brother Seamus, he’s a winner of the prestigious Fiddler of Dooney contest, and he has recorded extensively, including now three solo albums as well as several others with groups like Buttons and Bows, Moving Cloud and the Brock McGuire Band. His track record is utterly superb. In some respects, “The Copperplate Sessions” is like McGuire’s other albums, all of which feature very polished, high level playing. But what sets this one apart is that in addition to Irish traditional music, the music of Canada, Shetland, and Orkney are represented, played by a rake of musicians from different parts of Scotland, including Fiona Driver, Marie Fielding and Bryan Gear (fiddles), Tom Orr and Trevor Hunter (keyboards), Duncan Findlay (guitar) and Neil MacMillan (bass). This is what perhaps gives this album a slightly different feel than McGuire’s others, but it’s a difference that is both beautiful and rewarding. There are several standout tracks to speak of here. The “Copperplate Set,” which opens the album, is a rousing journey through a handful of well-loved Irish reels. It contrasts nicely with “Canadian Reel Set,” “Orkney Reel Set” and “Shetland Reel Set,” each of which is brilliant and reflects the spirit of their namesake places quite nicely. McGuire’s phrasing and tempo on the “Carousel Waltz,” a composition of Manitoba fiddle player Andy de Jarlis, is superb and will most certainly have the dancers out of their seats for the track’s duration. The album’s final track, “Stephen’s Dream,” an air named for McGuire’s late son to whom the album is dedicated, followed by four Irish reels, brings things wonderfully to a close. 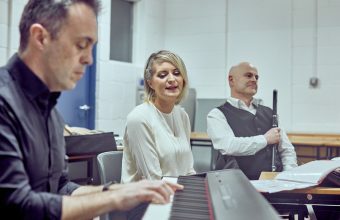 Changing tempo, two of the album’s loveliest tracks are “Gort na Mona” and “An Chiarraíoch Mallaithe,” a pair of songs beautifully delivered by Emily Flack (emilyjeanflack.com). Flack, whose step dancing is heard throughout this album, comes from a renowned musical family in Ontario and grew up with the music of Cape Breton. Her singing on these is stirring and will have wide appeal. On “Gort na Mona” she’s joined by cellist Ellen Gira, whose playing adds lovely depth. Gira brings similar depth to the slow air “Manus McGuire,” which is yet another of the album’s lovely instrumental tracks. McGuire is a virtuoso player, and while his musical skill very much in evidence here, what I think takes center stage is the album’s overall arc and sense of cohesion. McGuire & co. use instrumental and vocal variety to move the listener through different moods, textures, and tempos that fit together wonderfully. This is really an eminently easy album to listen to, but more importantly it’s one that swells and ebbs with good feeling and warmth. 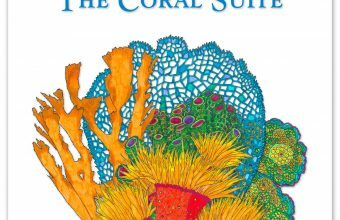 Just gorgeous – highly recommended. To learn more, visit www.manusmcguiremusic.ie.